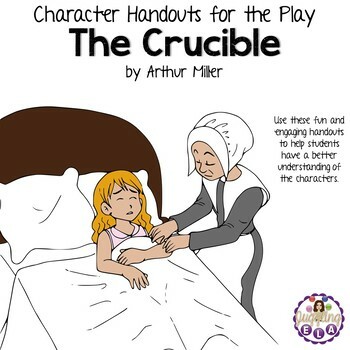 This is a bundle of handouts that all have to do with the characters in the play The Crucible by Arthur Miller. 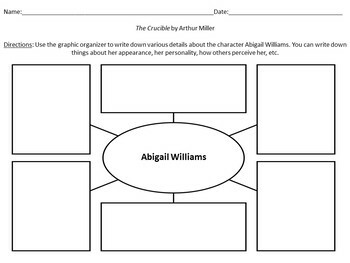 ✤ Character Chart - Students describe characters in the book. 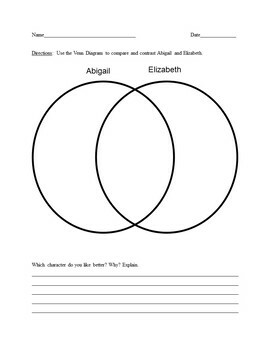 This chart can be used to review the characters before a unit test. There are suggested answers included. 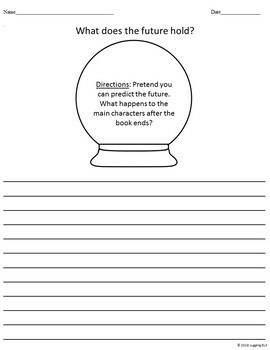 ✤ First Impressions Handout - Students write about their first impressions of various characters in the novel. ✤ What does the future hold? ✫There is only an answer key for the character chart. Answers will vary with the other handouts.